After the weekend I decided to get some more obstacles so that I have sufficient diversity on my tables. 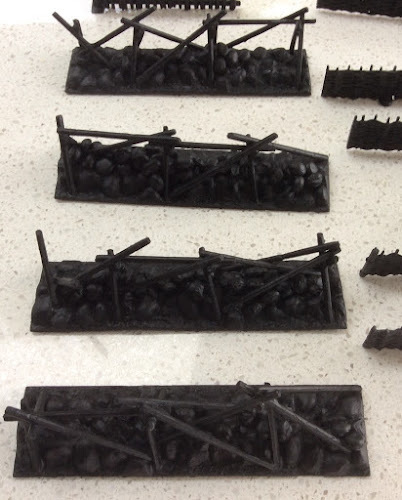 Obstacles help break up the battlefield and act as a defence for infantry against cavalry and monsters. I purchased some Renadra kits through Mighty Ape and while watching Netflix Marco Polo over the past few evenings I've made them up and primed them. The first set are makeshift obstacles from logs and stones. 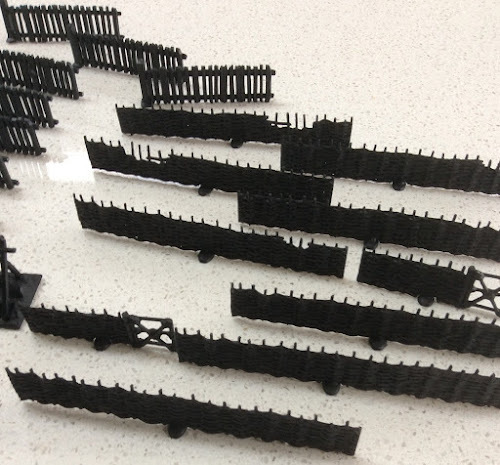 Second lot are palisades while the third are more traditional plank and rail fences. Hoping to get them painted and suitably based over the weekend. Check back Monday for pictures. 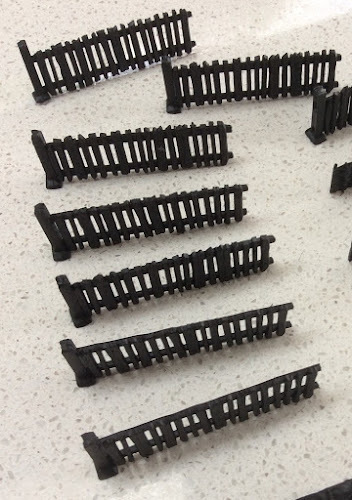 Nice work, Always industrious with the terrain there Pete. Should create some interesting game dynamics.